The Trade Wars Boxing Championship, will follow the famous RQCC based on the time honoured “Queensberry Rules”. The concept was derived in London in 1743, focussing on corporate England, typically pitting banker vs banker, lawyer v lawyer. 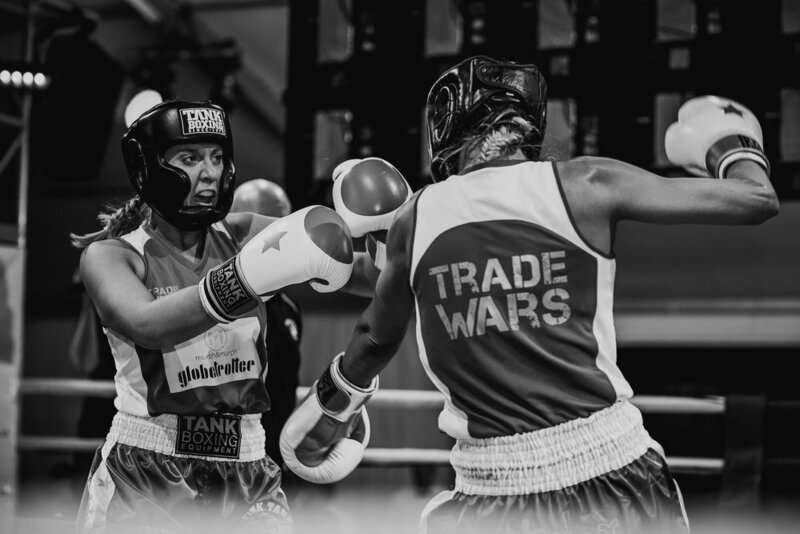 At Trade Wars, 30 brave tradies, male and female, all ages, with no previous fighting experience and 11 weeks of training under their belts, will jump into the ring in front of over 2000 of the Perth’s party goers, media and sports lovers. This is amateur boxing at its best. Red carpet arrival, high fashion, paparazzi, the finest food and beverage offerings, plus state of the art Audio Visual showcasing this unique line-up of 15 bouts and 30 competitors. Brothers, sisters, friends, colleagues, 3 by 2 minute intense rounds, entrances worthy of Apollo Creed, each with a glamorous entourage. You will witness blood, definitely sweat and even some happy tears.